How important are higher education aviation programs in Greece? Despite the severe economic crisis, the air transport industry in Greece has been experiencing a significant growth. Aegean Airlines, the largest Greek carrier, reported in September a rebound in the second quarter of 2017, helped by improved load factors and higher sales. The profit of 15.8 million euros in the three months is a very optimistic information, compared to the loss of 2.2 million a year earlier. Moreover, new airlines, such as Ellianair and Astra Airlines, expand their activities to foreign countries. 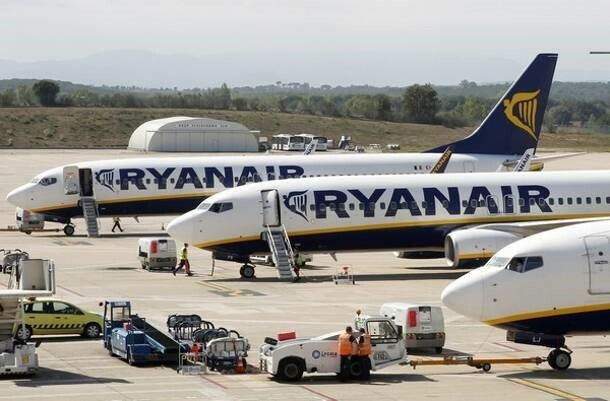 Ryanair’s expansion in Greece, with the offer of domestic and Europe bound flights, has also been a major contributor in the traffic growth over the past years. In addition to that, a private investment of 330 million euros over the next four years will fund airport infrastructure improvements. This will increase the overall traffic capacity of the country and the aircraft maintenance activity, according to Fraport 2015. Aviation is a significant contributor to the Greek economy, due to its influence on tourism and trade. Clearly, investment in human capital, in education and training, has a key role in sustaining the industry’s growth. The article “Higher Education Aviation Programs in Greece: A Missed Opportunity or a Challenge to Meet?”, published in the edition (Vol. 9, No. 4. in 2017) of JATM (Journal of Aerospace Technology and Management), presents an analysis of higher education aviation programs in that country and suggests some solutions. Researchers from Greece and Ireland intended to identify the main features of aviation programs in Greece. Qualitative research steps suggested by Robinson (2014) were followed by more specific in-depth interviews with 12 professionals who have more than 26 years of aviation industry experience. “Aviation school can offer education for some specialties that are in shortage in Greece. We found that it is more necessary the establishment of a postgraduate aviation school. This school should offer two directions: business and operation”, says Dr. Konstantinos Malagas, the lead author of the paper and an aviation researcher at the University of Aegean. Respondents suggest an aviation program must meet the demand. The establishment of a postgraduate and a short-duration aviation academic program at university is a way to bridge the knowledge gap that exists today: too many generalist graduates and very few specialists in aviation. “The result of our research show that the most relevant initiatives are partnerships with private organizations, such as airline companies and airports, e-learning courses, cooperation with established overseas universities and the participation of aviation professionals in teaching and creating the curriculum”, explains Dr. Malagas. To Dr. Kyriakos Kourousis, co-author of this study and a senior lecturer in aviation engineering at the University of Limerick, in Ireland, aircraft maintenance and continuing airworthiness programs at undergraduate and postgraduate level, based and oriented by European Aviation Safety Agency, would be a value proposition, putting Greece at a competitive edge. “The regional demand for technical professionals is here to stay”, affirms Dr. Kourousis. Greece may also take advantage of its geographical features: good weather conditions and position in Europe. These qualities may attract foreign students to the country. I hope That your research as published in this article helps to grow awareness & business traction.